Situated at the entrance of Key West, this Hilton hotel is just moments away from Duval Street, Old Town, Mallory Square, Smathers Beach and the Hemingway House. 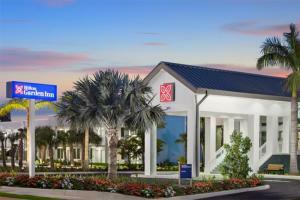 141 brand new spacious guest rooms, feature the latest technology, WiFi, HDTV and more. Soak in the island sun and enjoy the hotel's outdoor resort-style pool or work out at the 24-hour fitness center. Located about 1 mile from the Key West International Airport.